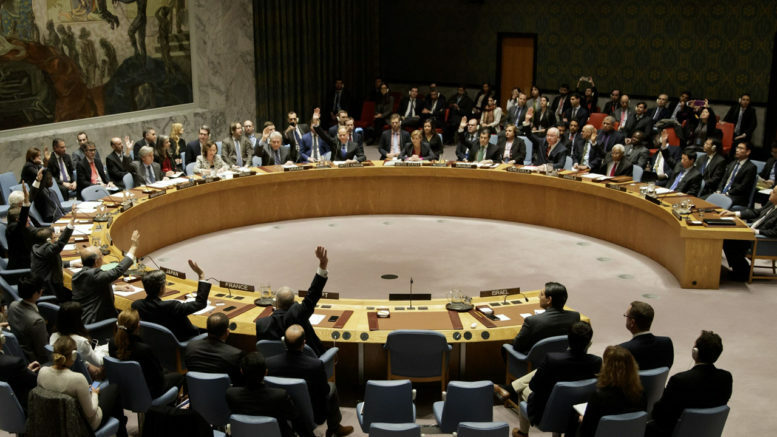 While the passing of the controversial UNSC Resolution 2334 on the eve of Christmas and Hanukkah went under the radar of many, a number of world leaders have spoken out. Even members of Obama’s own party are appalled at the stance taken by the United States; UK Prime Minister Theresa May has rebuked John Kerry for focussing on Israeli settlements; and Australia, a country without a seat at the Security Council, has called the resolution “one-sided” and “deeply unsettling”. However, New Zealand Prime Minister Bill English is yet to comment, despite repeated calls for him to do so. Fifteen countries sit on the United Nations Security Council. On 24 December 2016 (NZT), when resolution 2334 was adopted, half of the ten non-permanent members were considered “Free” democracies by the UK based Economist Intelligence Unit. New Zealand had the highest Democracy Index of all fifteen nations, yet joined Venezuela (a “Hybrid regime”), Senegal, and Malaysia (both “Flawed democracies”) to co-sponsor the text prepared by Egypt (“Authoritarian”). Regardless of how democratic a country is, the votes at the UNSC are cast by individual representatives who may not be fully supported by the citizens they represent. There are suggestions that New Zealand Foreign Minister, Murray McCully, did not seek cabinet approval before sponsoring or voting for the text. There is also evidence to suggest the United States colluded with the Palestinians and Egypt to formulate the text of the resolution, despite US denial. United States President Obama and Secretary of State John Kerry abandoned a longstanding practice of using the US veto power against biased resolutions when they abstained from the vote, prompting bipartisan outrage from congress. The US also allegedly helped develop the text, which would include abandonment of longstanding US policies, including land-for-peace, opposing the discriminatory BDS movement, and insisting that the parties to the conflict must resolve their differences. The only democratic country to be more fiercely opposed to the resolution is Israel. Prime Minister Benjamin Netanyahu rejected the resolution in the symbolic act of lighting Hannukah candles at the Western Wall (which the resolution considers part of “occupied Palestinian territories”). He reportedly said “Israel is strong, and I won’t let us be spit on. We will respond forcefully.” Israel has also recalled ambassadors to Senegal and New Zealand. While all these leaders have spoken out, Kiwis wait. Even though New Zealand co-sponsored the text and voted for the resolution, Kiwis wait for comment from their leaders. Despite protests, a letter to the Prime Minister and petitions, concerned New Zealanders wait for a response from their Prime Minister.